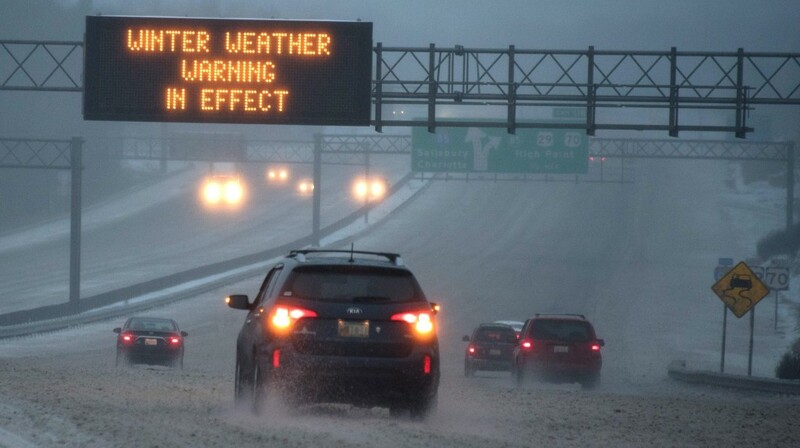 Winter Storm (CNN): Cities scrambled Sunday to dig themselves out from the snow and ice of a massive blizzard that clobbered the East Coast, but officials warned residents to remain vigilant even as the storm heads into the Atlantic Ocean. What are YOU gonna do about… WINTER STORMS and EXTREME COLD? down a city or area mainly due to blocked roads and downed power lines. People can be stranded in their car or trapped at home for hours or days, but there are many other hazards that come with these storms. The leading cause of death during winter storms is automobile or other transportation accidents and the second leading cause of death is heart attacks. Hypothermia (or freezing to death) is very common with the elderly who sometimes die inside their homes because it is so cold. The best way to protect yourself from a winter disaster is to plan ahead before the cold weather begins. Take advantage of spring sales when winter items are cheaper so you’re ready for next winter. BEFORE A WINTER STORM: Prepare – Review FLOOD, POWER LOSS, WIND and WINTER STORM MITIGATION at beginning of this Section. 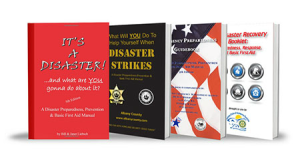 THE REDBOOK (“IT’S A DISASTER!”) provides quick-reference instructional bullets in 2-color format with tips on what people should think about and do before, during and after specific types of emergencies and disasters, as well as how to administer basic first aid. Our RedBook has been helping millions of people prepare for disaster since 1999. Disaster after disaster, we’ve learned that preparedness saves lives. Don’t miss your opportunity to become a RedBook community partner and help keep families safe. Learn more about the Homeland Security Foundation of America’s Redbook Community Partner Program at http://www.ready.red.